OLED (Organic Light Emitting Diodes) is a new technology that enables brighter, more efficient, thinner, faster and better looking displays. OLED panels feature better refresh rates and contrast than either LCD or Plasma - and can be made flexible and transparent. Sony has been involved with OLED research, development and production for years, and can claim several OLED firsts: in 2004 they launched the world's first PDA with an OLED display (the 3.8" Clie PEG-VZ90), the world's first OLED TV in 2007 (the 11" XEL-1) and for a while they offered the largest OLED displays (the 24.5" BVM-F250 professional OLED monitors). 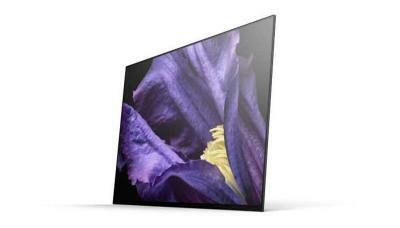 Today Sony produces OLED TVs - using panels produced by LG Display. 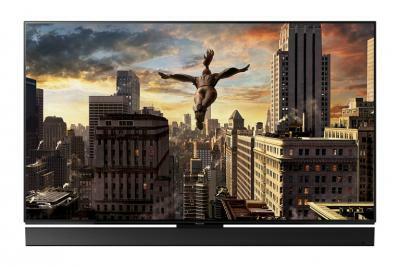 In 2017 Sony introduced its first OLED TV, the XBR-A1E. These 55" and 65" used LG's WRGB OLED panels, and were very successful. 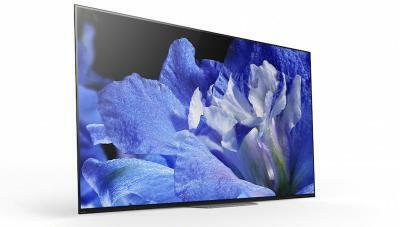 In 2018 Sony introduced its 2nd-generation OLED TV, the AF8. Back in 2007, Sony launched the "world's first OLED TV" (the XEL-1), although at 11-inch, it should not really be considered a TV - maybe not even a monitor. It was only made in small quantities and the price ($2,500) was very high. In February 2010 Sony stopped producing the XEL-1. In the past Sony was collaborating with Panasonic on OLED TV production technology, but this collaboration was later canceled. 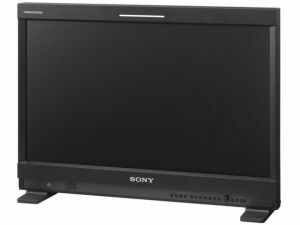 Sony offers several professional OLED monitors for the film and broadcasting industries, including the PVM 740 (7.4 inch), PVM 1741 (17 inch), and the PVM 2541 (25 inch) and the premium BVM F170 (17 inch) and BVM F250 (25 inch). Sony also offers OLED monitors for the medical market. In September 2012 Sony announced that they have sold over 15,000 professional OLED monitors, and in fact their Nagoya OLED production fab is running at "full capacity". In past years, Sony released several mobile devices that adopted OLED displays. The original portable Vita gaming console is one example. Sony sold over 2 million Vita consoles. The Vita featured a 5" touch Samsung-Made OLED display (960x544), but Sony switched to an LCD in the newer Vita as they wanted to reduce the cost of the device. In January 2009, Sony unveiled their 'X' series OLED walkman. They claimed it was the best sounding walkman ever, and it's got the best display, too: a 3-inch 432x240 touch AMOLED. 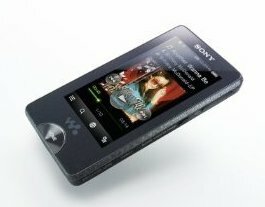 Sony has also used a large AMOLED in their NW-A840 walkman. Sony's main product line is now smartphones - but the company has yet to release an OLED smartphone. In October 2016 Sony launched its PlayStation VR HMD. 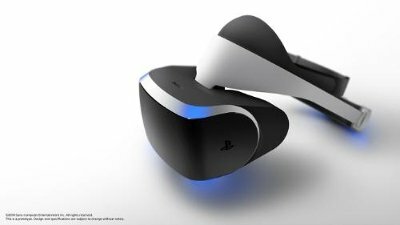 Sony's VR HMD uses a 5.7" FHD (1920x1080) AMOLED display (produced by Samsung Display), 360-degree tracking and 3D audio. Sony enjoyed strong sales of this VR headset. 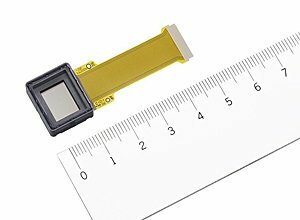 Sony are also producing OLED microdisplays, and have several such displays on the market, including a 0.5" XGA (1024x768) panel for digital camera EVFs and a 0.7" 1280x720 microdisplay used in Sony's HMD products. Sony officially announced the pricing and availability of its 2019 OLED TV range. Sony's flagship TV, the A9G, will start shipping in May 2019. The 55" will cost $3,399, while the 65" model will cost $4,499. Amazon already lists the new TVs. The 77" model, which will cost $7,999 will start shipping in June. The A9G offers "consumer reference-quality image" and features Sony's X1 Ultimate Picture Processor, Pixel Contrast Booster and an automated calibration mode (including a dedicated mode for Netflix). The A9G features Sony's Acoustic Surface Audio - which means that the TV stand doubles as a high end speaker. The TV is based on the Android TV OS. According to Business Korea, the demand for OLED TVs is increasing, which is helping OLED TV vendors, mainly LG, Sony and Panasonic to increase sales in the premium TV segment. BK says that in 2018, LG Electronics sold 62.2% of all OLED TVs, followed by Sony (18.9%) and Panasonic (7.7%). Other OLED TV vendors include AOC/Tp-Vision/Philips (5.7%) and Skyworth (2.4%). JOLED announced that it has raised 25.5 billion Yen (around $228 million USD) from INCJ, Sony and Nissha. JOLED also announced that it has started to build post-processing module production lines at its Mobara, Chiba prefecture, plant. Nissha will also collaborate with JOLED in the area of OLED touch sensors. JOLED's printed OLED displays will be produced at the company's Nomi plant. JOLED currently uses a pilot 4.5-Gen line at Nomi, but the company has already announced plans for a new mass production 5.5-Gen line in Nomi by 2020. B&H photo is now listing Sony's 2019 range of OLED TVs. There's no shipping date yet, but there are prices for all of Sony's 2019 OLEDs. 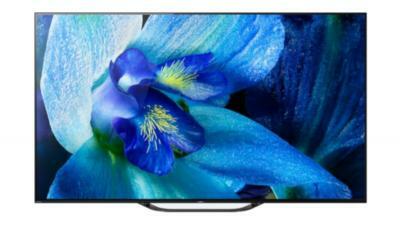 The mid-range A8G will cost $1,999 for the 55" model and $2,999 for the 65" model. The high-end consumer reference-quality A9G will cost $2,799 for the 55" model, $3,799 for the 65" model and $7,999 for the 77" model. Sony' A8G features Sony's X1 Extreme processor, Android TV, Sony's Acoustic Surface Audio (the entire screen is the speaker), 4K upscaling (X-Reality PRO) and Motionflow XR for smooth fast action. The A9G adds Sony's Pixel Contrast Booster and an automated calibration mode (including a dedicated mode for Netflix). 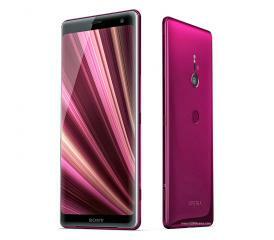 Sony launched its Xperia 1, the world's first 4K OLED smartphone, at MWC 2019, and the company did not yet disclose the price or release date. Amazon now lists this new smartphone, with a $999.99 price tag (for the 128GB model). The shipping date is set at December 2019, but this is likely just a placeholder as Sony said it will ship the phone towards the end of spring (at around May). The Xperia 1 features a tall 6.5-inch 21:9 3840x1664 AMOLED "CinemaWide" display which supportss HDR (BT.2020). The Xperia 1 also features a Snapdragon 855 chipset, 6GB of RAM, 64/128 GB of storage, a microSD slot and a triple camera. The phone is also waterproof (IP68) and it has a fingerprint sensor on the side. 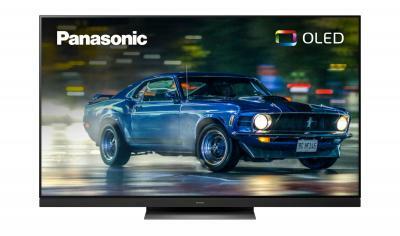 Sony announced its 2019 TV range, with two new OLED TVs. First up is the Master-Series A9G, that offers "consumer reference-quality image" and features Sony's X1 Ultimate Picture Processor, Pixel Contrast Booster and an automated calibration mode (including a dedicated mode for Netflix). The A9G will be available in 55", 65" and 77". The Android TV features Sony's Acoustic Surface Audio - which means that the TV stand doubles as a high end speaker. According to its plans, LG Display aims to ship around 2.9 million OLED TV panels in 2018, and the Korean panel maker expects that its production capacity expansion will allow it to ship around 4 million panels in 2019. LGD's largest customer is LG Electronics, but the company is also enjoying strong sales to Japanese TV makers. The Nikkei Asian Review says that in 2018 the company will ship 500,000 panels to Sony and 200,000 to Panasonic, and next year it expects to increase its shipments to Sony to 850,000 units and to Panasonic to 300,000 units. LG Electronics OLED TV market share will be around 50-60% in 2019. According to Taiwan-based Topology Research Institute, Sony, Oculus and HTC will continue and dominate the VR market in 2019. Sony will continue to be the leading VR vendor, with sales of its HMD to grow 10% in 2019 to reach 2.2 million units. The second largest will be Oculus Rift, which will see a surge of 80% in shipments to reach 1.7 million in 2019. 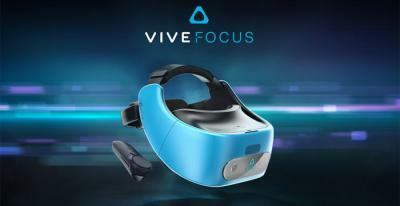 HTC will also see a nice sales increase of 33% and the Topology expects HTC to ship 800,00 VR HMDs in 2019. In total, Topology expects the market to grow 29% to reach 6 million units in 2019. Sony's latest flagship phone, the Xperia XZ3, will ship in September 24 in the US for $900 - and you can pre-order it now at Amazon.com. This is the single-SIM edition. In the UK, the XZ3 will ship in October 2018 for £699. 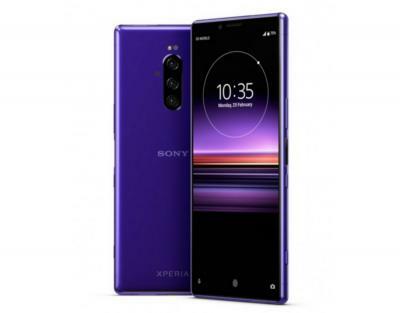 The Xperia XZ3 is a high-end smartphone that features a curved 6" QHD+ 1440x2880 (537 PPI) LG pOLED display, a Qualcomm Snapdragon 845 chipset, 4 GB of RAM, 64GB of storage, microSD slot, Dual-SIM (optional) and a 19Mp 4K HDR camera. Sony started shipping its flagship 2018 TV, the OLED AF9 - at $3,499 for the 55" model and $4,599 for the 65" model (note: affiliate links to Amazon). 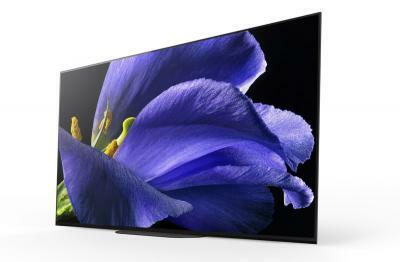 Sony's AF9 is a consumer reference-quality OLED TV, available in 55" and 65". The 4K WRGB TVs include Sony's latest technologies, including the X1 Ultimate Picture Processor, Pixel Contrast Booster, and an automated calibration mode. The TVs include a dedicated Netflix Calibrated Mode. 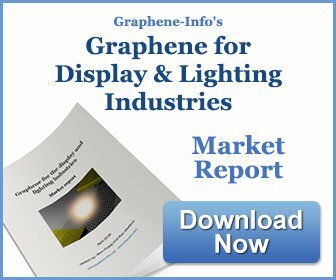 Is LG Display pulling out of the OLED lighting market?